The Children’s Center has been in business since October, 1990. 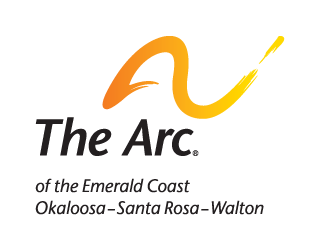 The Arc of the Emerald Coast formerly known as Horizons of Okaloosa County took over the center April 1, 1992. The center became nationally accredited through National Association for the Education of Young Children (NAEYC), May, 2001 and continues to maintain the high standards of NAEYC. Our mission is to provide quality care and education for young children 6 weeks to 12 years of age. Provide quality childcare and education to the community in an inclusive environment to meet the needs of children with and without intellectual and developmental disabilities and their families. Our Philosophy at the center believes that ALL children can and do learn in an inclusive environment. This environment must provide developmentally appropriate experiences for young children under the guidance of a competent, knowledgeable staff. Good communication, mutual respect and trust must exist among staff, families, and children. Further, an environment that is safe, nurturing, and promotes lifelong learning for all people associated with the Children’s Center-Children, families, staff, and others – is essential.